The Virtual Scan Appliance (VSA) is a virtual appliance that enables dynamic application security testing behind a customer's firewall through the installation of a virtual machine (VM) in a datacenter behind the firewall. The VSA is integrated into the Veracode Platform for workflow, policy management, and reporting, giving customers a single location for managing the security of public applications and those behind the firewall. To request a VSA, please contact a services representative. behind their firewall the same way they do for their public applications. 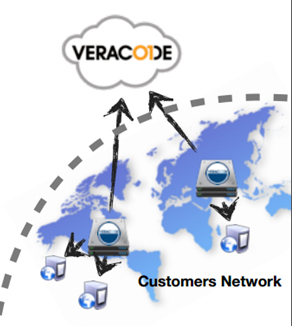 Learn more about the Veracode VSA.